Step-by-step through the whole qualification process of water treatment systems including sample documents for all stages! The qualification of pharma water systems has never been so easy! Pharmaceutical water is the most important of all pharmaceutical utilities. It plays a pivotal role in pharmaceutical processing. 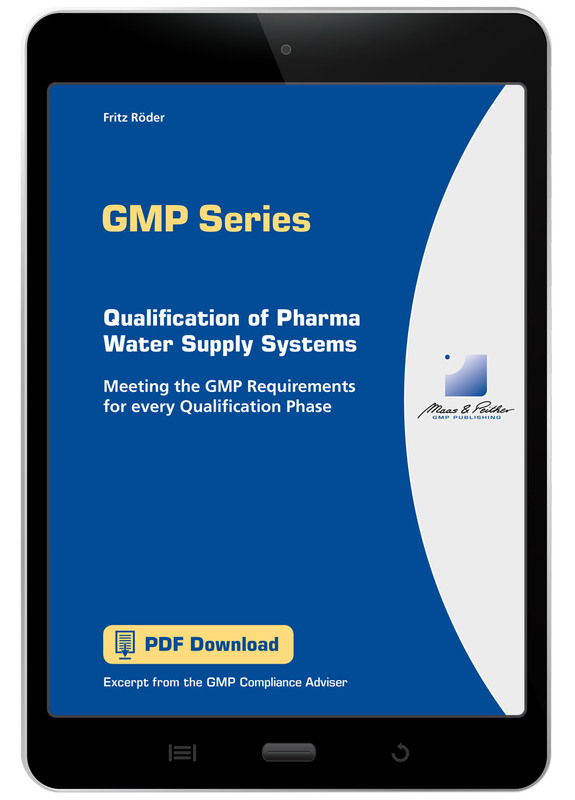 Therefore, thorough and proper qualification of water systems is highly essential for ensuring that the pharmaceutical manufacturer uses the right quality of water. But the qualification of a water treatment system is extremely comprehensive. Engineer and water expert Fritz Röder will lead you safely through the whole process of DQ, IQ, OQ and PQ. How is the qualification of a water supply system organised? What requirements must the qualification of a water supply system meet? When can the water be used for the manufacture of medicinal products? What does a typical risk analysis involve? What do the qualification documents contain? How are warning and action limits determined? How is sampling organised and carried out during the qualification? What's more, you will get sample documents (plans and reports) for all qualification stages!